You are here: Home / Motivation To Eat Healthy / Here Is How You Can Feast Like A Caveman And Protect Your Health. Paleo brownie recipe below the article. The Paleo style of eating is not another diet (Lord no, not another diet), but more of a lifestyle. You see, tens of thousands of years ago, before Nike, frozen pizzas, pasta, and Healthy Choice meals, our ancient ancestors survived and thrived as hunter-gatherers. Although it’s been a really long time, our genetics haven’t changed that much since then. As the name indicates, Paleo refers to the Paleolithic or the ancient style of eating where natural and wild foods formed the staple of the human diet and not the processed foods prevalent today. A modern day eating plan with Paleo meals may thus include food items which do not require much processing and can be consumed in lightly cooked or raw form. During the Paleolithic period, many thousands of years ago, people ate primarily vegetables, fruit, nuts, roots and meat – and a wide variety of it. Back in the day, grains were not part of our diet. We ate what we could hunt or find – meats, fish, nuts, leafy greens, regional vegetables, some tubers and roots, occasional berries or seasonal fruits, and seeds that other animals hadn’t decimated. Grains came around extremely late in our development cycle and have been causing problems ever since. Today, these staples have been largely replaced with refined sugar, high fructose corn syrup, cereal, bread, potatoes and pasteurized milk products along with processed foods of all kinds… and a much narrower selection of vegetables, fruits, roots, seeds and nuts. While we may consider ourselves to be at the pinnacle of human development, with our highly advanced technological, manufacturing and transportation wonders our modern food manufacturing processes have not created a race of super-humans in possession of great health and longevity. Humans today suffer more chronic and debilitating diseases than ever before along with the staggering statistics that reveal as many as two thirds of us are overweight to some degree or another. And there can be little doubt that our food choices play a major role in this development. When we look a back at our ancient ancestors the average Homo Sapien back then: was tall, muscular, agile, athletic, and incredible versatile. Today’s “average” Homo Sapien: overweight, out of shape, lacking energy, stressed out, sleep deprived, unhappy, and dying from a myriad of preventable diseases like heart disease, cancer and diabetes. So what the heck happened? Agriculture! A few thousand years ago humans discovered farming, the agricultural revolution took off, and we changed from hunter-gathers into farmers. We settled down, formed societies, and the human race progressed into what we are today. The problem is, our bodies never adjusted properly to eat all of the grains that we were now farming. So, instead of loading up on lean meats, vegetables and seasonal fruits, we have become a species “dependent” upon grains – bread, pasta, rice, corn, and so on. Our governments continue to recommend 6-11 servings of grains a day, and the people in our world continue to get fatter and sicker by the day. Clearly something’s completely ‘out of whack’. The Paleo concept of eating is an effort to go back to eating how we’re biologically designed to eat, before the agricultural revolution, allowing us to tap into our genetic potential and start living healthier immediately. • Tubers – sweet potatoes, yams. Higher in calories and good carbohydrates. Can a Stone Age Diet Make You Healthier? Eating the Paleo or caveman way, works by keeping your body’s chemistry in better balance. The goal is to reduce excess body fat, aid in the normalization of blood sugar levels and reduce toxins and anti-nutrients. “Normalizing” your system is the true strength of the so-called caveman diet. By eating foods that are concordant with your genetic ancestry, you can avoid many of the diseases associated with our modern diet. By severely reducing or eliminating these foods and replacing them with more healthful food choices that possess nutrient qualities more in line with the foods our ancestors consumed, it is possible to improve health and reduce the risk of chronic disease. Fortunately, if we can simply expand our horizons and remove certain types of food from our diet as much as we can, we can stop worrying about the threats to our waistline and health forever. Don’t forget to check out the Paleo cookbook, chock full of 370 recipes to help you make better choices for you and your family. Preheat oven to 160° Celsius/325° Fahrenheit. Place the coconut oil, cocoa powder and cinnamon in a bowl and combine well. Add the coconut milk, honey, egg, almond meal and mix until combined. Line a small brownie tin or cake loaf tin with baking paper. Spoon the brownie mixture into the tin and smooth the surface of the mixture. Remove and allow to cool to room temperature before transferring to the refrigerator for 60 minutes. 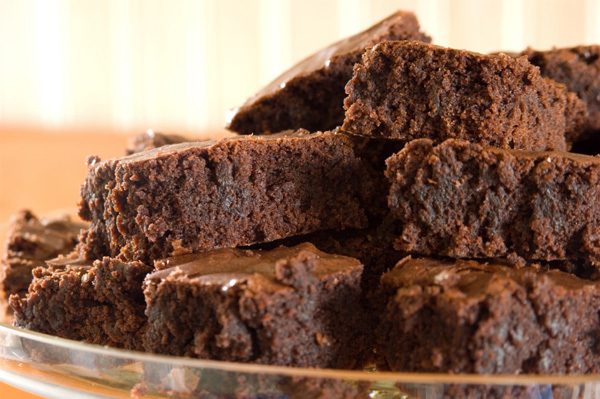 Dust the brownie with cocoa and cut into individual portions to serve.